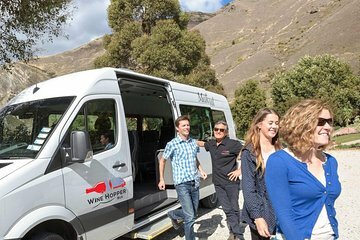 Explore the wineries of the Gibbston wine region with the convenience of a hop-on hop-off tour that lets you set your own pace. Buses depart throughout the day and run every hour. Hop off at the stops you like to do wine tastings at local wineries. You can also rent a bike to explore on two wheels, and book a meal at a restaurant (own expense). Outside The Station Building, corner of Camp and Shotover St.
Our friendly guide will help you plan your day.